The “671” is a discontinued style at our site. 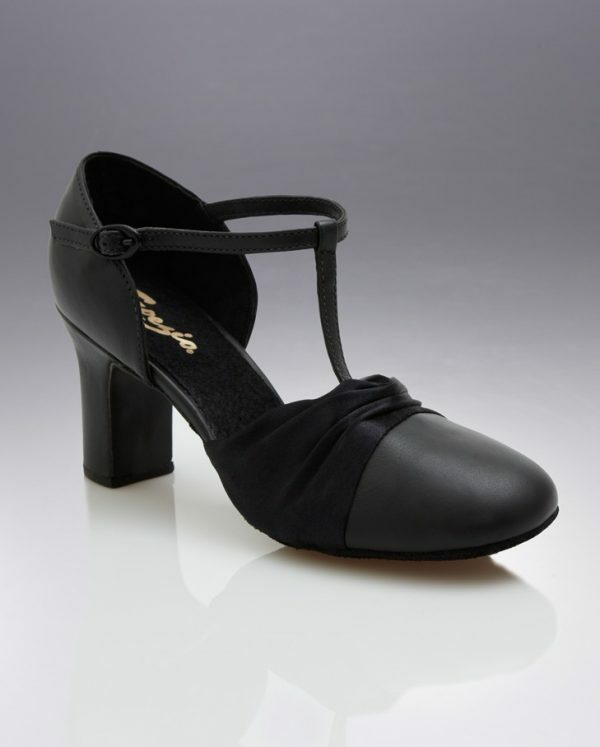 The vamp is a combination of black leather w/black satin with a 3″ heel. Similar to the 562 Flex Character which has a 2″ heel.